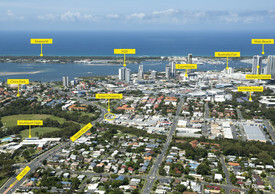 408 Commercial Real Estate and Properties in Gold Coast are listed in 9 categories. We have 438 Offices for Sale & Lease , 373 Industrial Warehouses for Sale & Lease , 343 Retail Shops for Sale & Lease , 90 Development Lands for Sale & Lease , 58 Showrooms for Sale & Lease and 54 Hotels and Leisure for Sale & Lease . 135m² High access industrial roller door Own amenities On site cafe parking Just off M1 Motorway Great complex vacancies don't last long here! Approximately Disclaimer: Ray White has not independently checked any of the information we merely pass on. We make no comment on and give no warranty as to the accuracy of the information contained in this document which does not constitute all or any part of any offer or contract by the recipient. Prospective purchasers / lessees must rely on their own enquiries and should satisfy themselves as to the truth or accuracy of all information given by their own inspections, searches, inquiries, advices or as is otherwise necessary. No duty of care is assumed by Orchid Avenue Realty trading as Ray White Surfers Paradise Commercial divisions toward the recipient with regard to the use of this information and all information given is given without responsibility. 314m2 total floor space 231m2 ground floor 83m2 mezzanine floor Air con throughout, 3 phase power, Electric roller door Full amenities Ample parking Available now approx Please contact the listing agent for more details by clicking on the link above. Disclaimer: Ray White has not independently checked any of the information we merely pass on. We make no comment on and give no warranty as to the accuracy of the information contained in this document which does not constitute all or any part of any offer or contract by the recipient. Prospective purchasers / lessees must rely on their own enquiries and should satisfy themselves as to the truth or accuracy of all information given by their own inspections, searches, inquiries, advices or as is otherwise necessary. No duty of care is assumed by Orchid Avenue Realty trading as Ray White Surfers Paradise Commercial divisions toward the recipient with regard to the use of this information and all information given is given without responsibility. 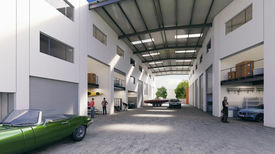 I am extremely proud to offer this sensational freestanding property in the heart of Molendinar's industrial precinct. This property boasts a total of 2,513m2 of building area on a huge 2,513 m² parcel of land. 3 Phase power and airlines Wash up bays Fully fenced with state of the art security systems This property is a must inspect, contact me now for a private viewing. Available 7 days. Extremely motivated vendor, Don't miss out! Approx Disclaimer: Ray White has not independently checked any of the information we merely pass on. We make no comment on and give no warranty as to the accuracy of the information contained in this document which does not constitute all or any part of any offer or contract by the recipient. Prospective purchasers / lessees must rely on their own enquiries and should satisfy themselves as to the truth or accuracy of all information given by their own inspections, searches, inquiries, advices or as is otherwise necessary. No duty of care is assumed by Orchid Avenue Realty trading as Ray White Surfers Paradise Commercial divisions toward the recipient with regard to the use of this information and all information given is given without responsibility. Extremely Motivated Vendor This Will Not Last! $2000 per month + GST inc..
140m2 warehouse, plus large mezzanine Exclusive amenities High Clearance with 2 roller doors Outdoor Storage area Close to M1 Incentives on offer! Enquire today this won't last long! 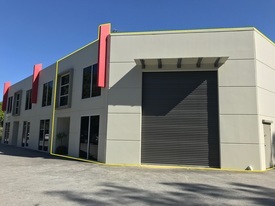 344m2 279m² + 65m2 Council approved mezzanine Quiet complex with only 1 other unit Direct truck access, 3 phase power, alarmed Office reception at front, 3 air conditioned offices at rear Ample parking on site Approximately Disclaimer: Ray White has not independently checked any of the information we merely pass on. We make no comment on and give no warranty as to the accuracy of the information contained in this document which does not constitute all or any part of any offer or contract by the recipient. Prospective purchasers / lessees must rely on their own enquiries and should satisfy themselves as to the truth or accuracy of all information given by their own inspections, searches, inquiries, advices or as is otherwise necessary. No duty of care is assumed by Orchid Avenue Realty trading as Ray White Surfers Paradise Commercial divisions toward the recipient with regard to the use of this information and all information given is given without responsibility. 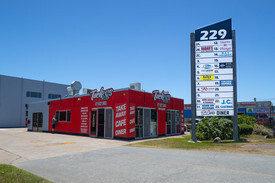 Commercial Kitchen With Fitted Cool Room $780 Per Week + GST (Incl..
220m² Low Impact industrial unit Outgoings included, tenant to pay electricity water usage Premises is fitted with kitchen extract, cool room, toilet manager's office Be quick to enquire, properties like this are always in demand! Approximately Disclaimer: Ray White has not independently checked any of the information we merely pass on. We make no comment on and give no warranty as to the accuracy of the information contained in this document which does not constitute all or any part of any offer or contract by the recipient. Prospective purchasers / lessees must rely on their own enquiries and should satisfy themselves as to the truth or accuracy of all information given by their own inspections, searches, inquiries, advices or as is otherwise necessary. No duty of care is assumed by Orchid Avenue Realty trading as Ray White Surfers Paradise Commercial divisions toward the recipient with regard to the use of this information and all information given is given without responsibility. Under Contract - High Quality Industrial Units - Must Be Sold! Auction, Thursday 14th Ma.. The Jared Johnson Lachlan Marshall Team are extremely proud to offer this exceptionally rare opportunity. Two high quality units to be sold individually or in one line. Strategically positioned two kilometres from the M1 Pacific Motorway 5 kilometres from the world famous Burleigh Heads beach this incredible property takes advantage of surrounding major operators such as Bunnings Warehouse, Trade Tools, Treetops Shopping Centre Varsity Lakes Train Station. Under instructions from the Public Trustee our sellers are extremely motivated and has given very clear instructions to sell on or before Auction. Open For Inspection Saturdays 10:45am 11:15am Lot 10 295m2 GFA + 33m2 approved office mezzanine Warehouse / Office Excellent clearance throughout 2x Industrial height roller doors 2x Undercover car parks Exclusive amenities Kitchenette / lunch room Rear access Great truck access Quality constructed concrete tilt panel building Immaculately presented complex Lot 11 320m2 GFA + 222m2 approved office mezzanine Warehouse / Office / Reception 2x Industrial height roller doors 2x Undercover car parks High quality office fit out Multiple large executive offices meeting rooms Air conditioning throughout Abundance of natural light Motivated vendor will consider all offers Don't miss this rare and outstanding opportunity! Inspect 7 Days For a detailed Information Memorandum please contact the exclusive listing agents Jared Johnson Lachlan Marshall for more details by clicking on the link above. Approximately This property is being sold by auction or without a price and therefore a price guide can not be provided. The website may have filtered the property into a price bracket for website functionality purposes. Disclaimer: Ray White has not independently checked any of the information we merely pass on. We make no comment on and give no warranty as to the accuracy of the information contained in this document which does not constitute all or any part of any offer or contract by the recipient. Prospective purchasers / lessees must rely on their own enquiries and should satisfy themselves as to the truth or accuracy of all information given by their own inspections, searches, inquiries, advices or as is otherwise necessary. No duty of care is assumed by Orchid Avenue Realty trading as Ray White Surfers Paradise Commercial divisions toward the recipient with regard to the use of this information and all information given is given without responsibility. 200m² ground floor Plus mezzanine Industrial full height roller door On site parking An outstanding opportunity to acquire a concrete tilt panel industrial warehouse in the heart of Burleigh Heads Industrial Precinct Located just moments to Reedy Creek Road, Bermuda Street, M1 Motorway the recently completed Bunnings Super Store at Burleigh Heads Approximately Disclaimer: Ray White has not independently checked any of the information we merely pass on. We make no comment on and give no warranty as to the accuracy of the information contained in this document which does not constitute all or any part of any offer or contract by the recipient. Prospective purchasers / lessees must rely on their own enquiries and should satisfy themselves as to the truth or accuracy of all information given by their own inspections, searches, inquiries, advices or as is otherwise necessary. No duty of care is assumed by Orchid Avenue Realty trading as Ray White Surfers Paradise Commercial divisions toward the recipient with regard to the use of this information and all information given is given without responsibility. 161m2 Warehouse with additional 50m2 Mezzanine. Excellent amenities Conveniently located on Brisbane Road Gross rental Pay no outgoings High clearance roller door Ample on site parking Approx Disclaimer: Ray White has not independently checked any of the information we merely pass on. We make no comment on and give no warranty as to the accuracy of the information contained in this document which does not constitute all or any part of any offer or contract by the recipient. Prospective purchasers / lessees must rely on their own enquiries and should satisfy themselves as to the truth or accuracy of all information given by their own inspections, searches, inquiries, advices or as is otherwise necessary. No duty of care is assumed by Orchid Avenue Realty trading as Ray White Surfers Paradise Commercial divisions toward the recipient with regard to the use of this information and all information given is given without responsibility. 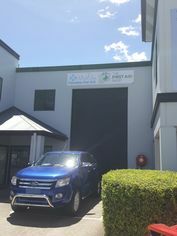 Small Factory Available Now $2,800pcm + GST including..
188m2 clear span factory Medium impact industry High access roller door On site car parking Ample 3 phase power Easy access to M1 Motorway The neighboring Businesses in the area include Kennards Hire, Kennards Self Storage, Wild Earth, McDonald's, Reece Plumbing Please contact the listing agent for more details by clicking on the link above. Approx Disclaimer: Ray White has not independently checked any of the information we merely pass on. We make no comment on and give no warranty as to the accuracy of the information contained in this document which does not constitute all or any part of any offer or contract by the recipient. Prospective purchasers / lessees must rely on their own enquiries and should satisfy themselves as to the truth or accuracy of all information given by their own inspections, searches, inquiries, advices or as is otherwise necessary. No duty of care is assumed by Orchid Avenue Realty trading as Ray White Surfers Paradise Commercial divisions toward the recipient with regard to the use of this information and all information given is given without responsibility. 250sqm Factory/warehouse With Hardstand $2,900 pcm + GST (Include..
150sqm Showroom Warehouse With 40sqm Office $3,400 pcm + Outgoings + ..
Two options available in small secure complex. Unit 1A 38m2 ground floor area 78m2 mezzanine 2 car parks allocated Exclusive amenities High clearance roller door Unit 2 333m2 ground floor area 126m2 mezzanine 10 car parks allocated Exclusive amenities 2 high clearance roller doors Office space upstairs and down All spaces are of modern construction and have been refurbished like brand new, with open plan warehousing and A grade office space. The instructions are clear, these must be leased and to submit all offers! If you would like more information or require a private inspection please contact me today. Approx Disclaimer: Ray White has not independently checked any of the information we merely pass on. We make no comment on and give no warranty as to the accuracy of the information contained in this document which does not constitute all or any part of any offer or contract by the recipient. Prospective purchasers / lessees must rely on their own enquiries and should satisfy themselves as to the truth or accuracy of all information given by their own inspections, searches, inquiries, advices or as is otherwise necessary. No duty of care is assumed by Orchid Avenue Realty trading as Ray White Surfers Paradise Commercial divisions toward the recipient with regard to the use of this information and all information given is given without responsibility. Prime Exposure Showroom On Lawrence Drive $7,200 per month + outgoi..
390 m2 ground floor showroom and factory 120 m2 mezzanine office/storeroom with full kitchen bathroom Great parking and access with 10 on site car spaces Huge exposure with great signage opportunities This showroom is the best that Lawrence Drive offers Freshly painted throughout Please call me today to inspect. Approx Disclaimer: Ray White has not independently checked any of the information we merely pass on. We make no comment on and give no warranty as to the accuracy of the information contained in this document which does not constitute all or any part of any offer or contract by the recipient. Prospective purchasers / lessees must rely on their own enquiries and should satisfy themselves as to the truth or accuracy of all information given by their own inspections, searches, inquiries, advices or as is otherwise necessary. No duty of care is assumed by Orchid Avenue Realty trading as Ray White Surfers Paradise Commercial divisions toward the recipient with regard to the use of this information and all information given is given without responsibility. 165m² Well presented modern building Air conditioned in downstairs reception upstairs office Electric roller door Mezzanine storage, plus own bathroom kitchenette Most convenient location close to M1 Motorway, Helensvale Train Station Westfield Shopping Centre On site parking Low Impact Industry zoning A must see! Approximately Disclaimer: Ray White has not independently checked any of the information we merely pass on. We make no comment on and give no warranty as to the accuracy of the information contained in this document which does not constitute all or any part of any offer or contract by the recipient. Prospective purchasers / lessees must rely on their own enquiries and should satisfy themselves as to the truth or accuracy of all information given by their own inspections, searches, inquiries, advices or as is otherwise necessary. No duty of care is assumed by Orchid Avenue Realty trading as Ray White Surfers Paradise Commercial divisions toward the recipient with regard to the use of this information and all information given is given without responsibility. 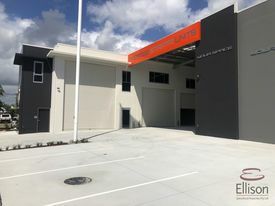 Heavy Industry Factory / Warehouse $2,360 per month + Gst (I..
401sqm Factory / Warehouse - Burleigh Industrials $5,350 pcm + GST (Incl Ou..
154sqm Factory / Warehouse - Brand New $2,055 pcm + GST (Includi..